4 years ago the hotel had a multilingual site that was ineffective. 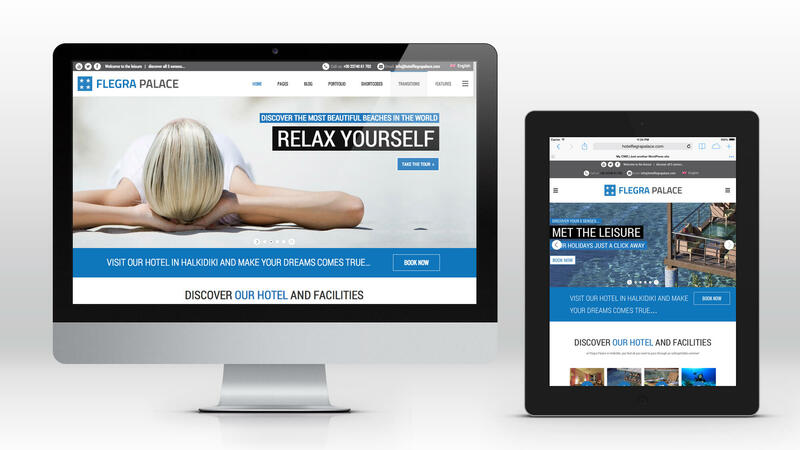 The owner demanded some changes and my goal was to create a functional and efficient website, so that the hotel would increase the traffic and it would manage to increase room reservations through its own reservation system and not through third-party platforms. Eventually, 4 years after hard work and perseverance, our efforts were rewarded. Online bookings through our own website were unexpectedly launched, far beyond our original target. Creating a properly structured multilingual website usually seems to be a nightmare for a great number of developpers. However, through the use of WPML plugin all processes can be simplified and lead to perfect and professional results. The hotel is located in one of the most beautiful parts of Greece, in Halkidiki, so it was our intention to initially enable visitors to find the necessary information in their language and to make an online reservation through our booking engine easily. Furthermore, the translation of all pages was vital in order that the Organic searches would be multiplied in all the languages applied on our website. Organic searches from countries such as “Turkey, Italy, the Netherlands, Russia and Germany” did not exist before the use of WPML. Now, our website appears on the first pages of GOOGLE searches due to the use of right SEO. Consequently, each hotel should have a properly structured multilingual website to attract new customers and make reservations through its own reservation system, thereby limiting supplies and tour operators. Solutions such as “automatic translation with the use of various free plugins”, “build your self” etc. should be prohibited as means to design a proper website. In many cases, the cheapest costs are paid expensive! As a result, getting something very cheap but ineffective is irrational. To conclude, pay attention and outsource your business development to experienced and professional designers rather than amateurs because you will not get the desired EFFECT. He was born and raised in Greece and he studied Marketing at Kingston University.The needs and trends of the market led him to technology and digital world. After over 20 years of experience in new ERA technologies and after passing through all the necessary phases and testing all possible platforms and plugins, he ended up in “WordPress” and “WPML” to create multilingual websites. Although spending his full time in front of his MAC would perfectly describe him, mountain trekking or ultra marathon running race enrich his everyday life!